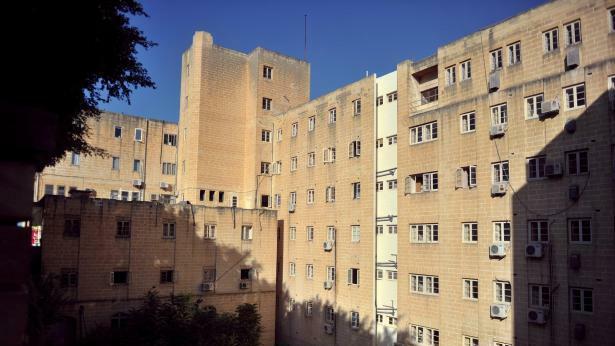 The new operators of three State hospitals in Malta sold a public hospital in the US to real estate developers for $12 million, the Times of Malta has learnt. In a surprise announcement just days before Christmas, the government said the American company Steward Health Care would be taking over the 30-year concession from Vitals Global Healthcare to run the St Luke’s, Karin Grech and Gozo hospitals. Deputy Prime Minister Chris Fearne, who heads the Health Ministry, defined the transfer to Steward Health Care, set up in 2010, as being the “real deal”. Accusing the government of a lack of consultation over the deal, the Medical Association of Malta ordered a one-day doctors’ strike at some outpatient departments and health centres last week. Further action is being threatened. Steward Health Care courted controversy in 2014 after it announced it would be closing the Quincy Medical Centre in Massachusetts. The deed to the hospital was bought from the city in 2011 for $1 after Steward agreed to assume all its debts. In an agreement signed with the city of Quincy, the two parties agreed that if Steward ceased to operate a hospital on the site, the city would have the right reclaim the deed to the property. Between 2011 and 2013, Steward undertook various rounds of staffing cuts and terminated its contract with the largest physicians group with which it had been doing business. A year later, Steward summarily announced it would close the hospital. A copy of the agreement that Steward signed with the State of Massachusetts Department of Public Health shows the hospital operators could not close the medical centre without notifying the US Department of Public Health 18 months in advance. The department declared that the medical centre was an essential service and should therefore not be shut down. Yet Steward has announced it plans to proceed with the closure. It was reported saying that if the Attorney General enforced the agreement and blocked the closure, the continued operation of all Steward’s hospitals in the Massachusetts area would be jeopardised. It closed the medical centre in February 2015, leaving the 100,000 residents in Quincy without an acute care hospital, this newspaper has been told. Sources familiar with its operations said it maintained a stand-alone emergency department on the site of the hospital to continue capturing the emergency case “market share”. Patients were stabilised and then sent to Steward’s other hospitals in Boston, the sources added. They said part of Steward’s plan was to sell the property, located on top of a hill enjoying ocean views, to a real estate developer. The city of Quincy tried to block the deal, arguing it had the right to reclaim the deed to the property. After more than a year of legal battles, Steward succeeded in its efforts, and just over a year ago sold the property to a developer for $12 million. The developer paid an additional $4 million to the city. Vitals’ former CEO Armin Ernst is now president of Steward Health Care International. Mr Fearne said it was Mr Ernst who suggested Steward buy the concession from Vitals in what will be its first healthcare foray off American shores. Dana Simon from the Massachusetts Nurses Association told the Times of Malta Steward had only recently bought hospitals outside Massachusetts. Unions representing staff at the newly purchased hospitals were studying Steward’s history in Massachusetts, as was the case with the public and hospital staff unions in Malta, Mr Simon said. Paula Ryan, who was a nurse at the Quincy medical centre for 46 years, said the closure was devastating for the community. She said that before the closure, there had been several years of Steward cutting costs across the board, which affected quality of care. “It was about profit,” she said. Legal sources told the Times of Malta Vitals’ agreement with Steward on the local hospitals was effectively on hold until an injunction hearing on February 15. The injunction application was filed by Ashok Rattehalli, who was party to a secret memorandum of understanding between the government and the investors behind Vitals. The document was kept under wraps, and it was signed six months prior to publication of the request for proposals in connection with the 30-year concession.